We are not going to sell you a pipe dream here but if you use a jig you are going to hook bigger fish. Is it easier? Probably not but using a jig really does separate the enthusiast from the pros. 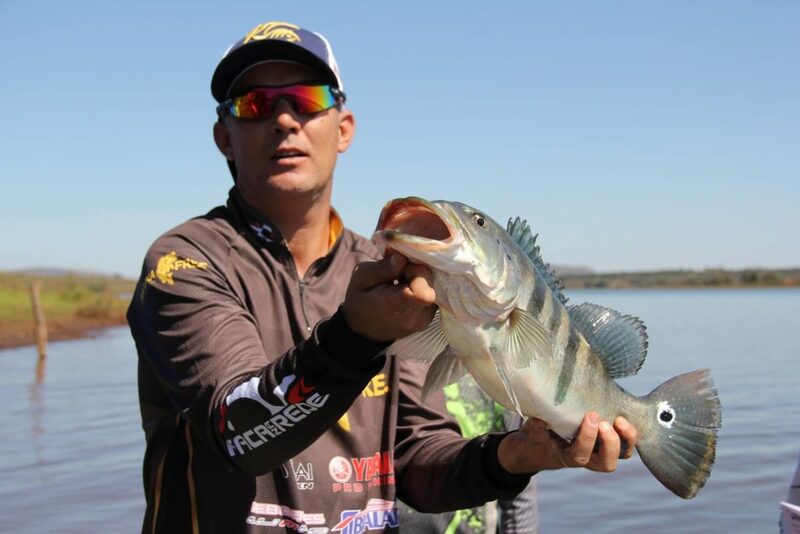 Fishing is a fun, relaxing sport that really fosters a great deal of good friendships but when things start getting heated and the competition turns on, the pros reach in the tackle box and grab a jig. It is not easy and it does require some skill development but anyone can do it with the right instruction. Jigs are not really meant for smooth flat bottom surfaces or for open water. They are great in craggy areas or areas that are chock full of weeds, roots and other underwater mess. They are great for rivers and lakes. We are going to share some tips to successfully fish with a jig that will likely forever change how you look at jigs. For the purpose of this article we are going to focus football jigs because they are the most versatile jigs. The jig (all jigs) are made up of 3 parts. The head, the skirt and the trailer. Now some people do not use a trailer on their jig but a jig without a trailer is a bad fish enticer. The trailer is the part that really gets some attention. The jig head is the most boring part of the jig. You can find some snazzy looking heads but for the most part they are made for function. The weight and the design takes priority over providing interest. The skirt and the trailer is all about the look. These are the parts where a lot of color and detail go into. There are many different types of jigs like flipping jigs and football jigs. Each of these types requires a different technique to use them effectively but they all have the same three parts as their basic construction. Here is where some of the older anglers will spend quite a bit of time squabbling. Some anglers swear color does not matter, while others will tell you that color is important. Ultimately here is really how the story plays out. Back in the day when jigs became popular they were made from hard rubber which really limited the colors that they could be fashioned from, they were most often brown or black. Today jig skirts are made from silicone which allows for a bevy of different colors. There have been some pretty big tournament wins with jigs that were “Dark Green Pumpkin” and “Green Pumpkin Blend” that has really made them the most popular colors. Other favorites include the “June Bug Blue” and “PBJ Flash”. Terminator Pro’s Jig offers 12 different colors on their jig skirt. Picking the right color really depends on where you are going to be fishing. If you are fishing on a muddy bottom like in a bog or swamp area than of course you may want to try something brown. Fishing in a weedy bottom try the green pumpkin blend. Booyah Pigskin Jig 1/2-Ounce offers 6 different colors. Both of the above are a good place to get started. A jig has a feel to it, there is no in between, either it is perfectly set or it is not. There is a common misconception that football jigs have to be used on the bottom of the water floor but the reality is they should be used above the floor because the goal is to have them swim around. If they are at the bottom they are not swimming they are dragging. The only time a jig should hit the bottom is when you are testing for depth and to get your bearings. As your jig is swimming along if you are doing it right you will feel like the jig is floating along. Practice your technique as much as you can (great excuse to go fishing more often). Heres a tip- if you cast against the current the jig will do most of the work for you. You may hear that you should slather the tail in attractant or that you should add a noise maker to the jig to really impact your results. Do those things work? Maybe! You can try but the best way to become an expert at fishing with jigs is to practice as much as you can. With time and practice you will be able to develop a technique that works for you. It may be rough in the beginning and even a little disappointing but once you get it down it will be the only way you will ever want to fish. Ask any angler that fishes this way and they will tell you it is one of the best ways to fish in freshwater. It is a challenge that you will love once you have perfected the art.